The brand recently launched new hybrid underwear and workout leggings called ‘360 Sport Leggings’. As Tommy John’s most innovative design yet, 360 Sport Leggings features moisture-wicking, anti-odour and stretch technology, along with workout attributes like a utility pocket and reflective accents for visibility. Dressing for summer workouts is easy. You can throw on shorts and a T-shirt and be fully dressed for any kind of exercise, whether it be running, lifting weights in the gym, or playing your favourite sport. But as the seasons change and the weather starts to cool down, picking out workout gear that’s suitable for fall can be pretty tricky. You want layers that look good, provide sporty comfort and most importantly, knock the chill off without being too warm. . When the brand launched in 2008, it started with the goal of bringing men’s undergarments into the 21st century, but now they’ve broadened the goal to encompass men’s apparel as a whole, starting with workout gear. As Tommy John’s most innovative product yet, the 360 Sport Leggings are a hybrid between the brand’s popular underwear and technical sport leggings. 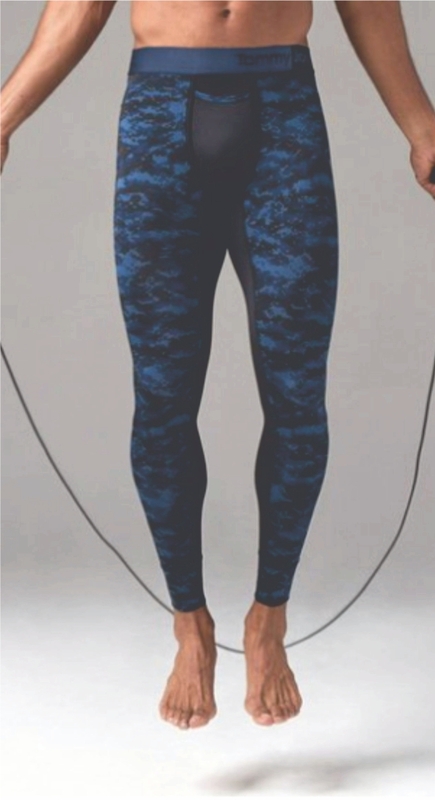 By using mesh cooling zones on areas that need it the most and stretchy performance fabric that’s anti-microbial, anti-odour and moisture wicking, the Tommy John 360 Sport Leggings eliminate the need to wear traditional underwear for workouts.